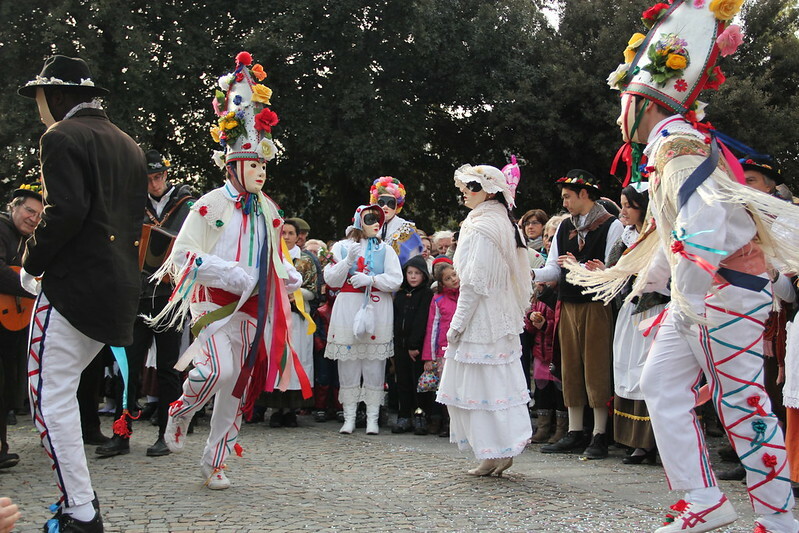 Through extensive ethnographic fieldwork, cinematic documentation and travelling exhibitions, the Carnival King of Europe project, a partnership of 9 European ethnographic museums, aimed to shed new light on the similarities that are found in the winter carnival masquerades which occur in Europe. The project aimed to unearth the common roots of these festivities and to establish evidence of their striking parallels. “This project has great value as it demonstrates that people from different regions in Europe have long-standing similarities in their values and traditions. In focusing on the European tradition of Carnival, the research team has demonstrated these similarities in relation to a festivity which encourages community interaction, cooperation and the performance of local identity”, said the jury. The research project was co-funded by the European Union and is now continuing with funds provided by the coordinating institution of the project, the Museo degli Usi e Costumi della Gente Trentina (Trentino Folklife Museum) in San Michele all’Adige, a large ethnographic museum in the Italian Alps. The project directly documented nearly one hundred masquerades in 14 European countries from the Balkans to Iberia, passing through Central Europe, the Alps and the entire Italian peninsula. The dissemination of the project has reached even more countries throughout Europe. A variety of strategies were used to achieve the aims of the project including fieldwork and film documentation which meant that each masked event was recorded from dawn to dusk on the day of its performance. The findings were disseminated with the organisation of large-scale travelling exhibitions, educational activities, the launch of a website, film screenings, lectures and conferences. Much of the results have been published in academic journals and the book Carnival King of Europe: An anthropological voyage into the masquerades of winter has also been published. The project has discovered a wealth of similarities across these regions which tell us much about what can be found at the core of our shared European culture and its dissemination has ensured that awareness has been raised of these common traditions throughout Europe. “The project is an important example of how we can preserve the intangible and popular heritage of Europe. We particularly appreciated the way that the investigation is based on collaborations with local experts of the traditions” noted the jury.